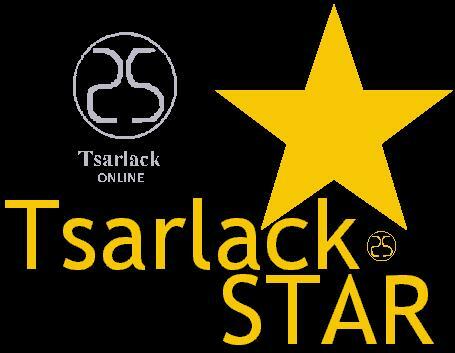 TsarlackStar is presented as an online service provider in Tsarlack, a fictional account of an island nation-state simulation. All data provided by the TsarlackONLINE Networks on www.Tsarlack.com are based solely upon fictional information and are not necessarily based on fact. Data are provided for entertainment purposes only, and are not intended for commercial use. TsarlackONLINE in no way endorses the validity of such data. Any resemblance to actual persons, places and establishments is pure coincidence. TsarlackONLINE shall not be liable for any actions taken in reliance thereon. By accessing the TsarlackONLINE sites, a user agrees not to copy and/or redistribute the information found therein.